Archie's Funhouse Back To School Annual #27 Review: Get To Class! 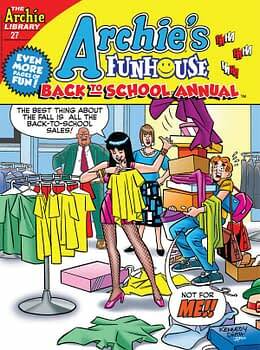 Home » Comics » Archie’s Funhouse Back To School Annual #27 Review: Get To Class! Archie’s Funhouse Back To School Annual #27 Review: Get To Class! If you're looking for a lighthearted collection to fight off the sadness of summer ending, then Archie's Funhouse Back To School Annual #27 is for you. School is almost back in session and we’ve got Archie’s Funhouse Back To School Annual #27 to ease you back into another year of football games, pop quizzes, and…psychic abilities? The slice-of-life comics featured in this digest are surprisingly soothing and genuinely enjoyable. They start off with the students of Riverdale lamenting their return to school, but the pessimistic air doesn’t last long. From a lab accident that grants Archie a glimpse into the future to a secret agent roaming the halls there is plenty to distract them from a failed exam or two. Over the course of the book, the theme starts to drift a bit. While there are some obvious school-centric issues, there are certainly some oddballs thrown into the mix, as well. Cyber Adventures #3 is included in the middle of the book presumably to break up the sleepy small-town storylines, but all it really manages to do is wrench you out of the peaceful atmosphere of Riverdale and into a strange, video game-themed world. If you’ve read this run previously, maybe the jump won’t be so bad, but for a newcomer, it’s absolutely jarring. After this little hiccup, we’re treated to a focus on characters like Moose, Reggie, and Dilton. 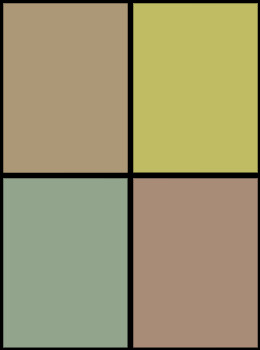 For me, these were the highlights of the book. While Archie and Jughead’s antics are often enjoyable, it’s these little peeks into the lives of the other citizens of Riverdale that make the comics feel alive. Many of these are short one or two-page stories, but they serve their purpose well. Their place at the end of the Digest helps flesh out Riverdale and brings back the simple enjoyment that is Archie’s niche. If you’re looking for a lighthearted collection of storylines to fight off the sadness of summer ending, then Archie’s Funhouse Back To School Annual #27 is the one for you. Yes, Most Marvel Comics Writers Are Conservatives. And?